Just a quick little thing for everyone. The Mount Kilimanjaro food store has free samples that we are offering currently. There are a few types of foods on there, all-natural, Grade A, so go ahead and check it out (http://www.thecrabbiestplaceonearth.piczo.com/). On another note, I just recognized today how much leaves can make up a crab's diet. All of my crabs really seem to enjoy them. In the spring, the Mount Kilimanjaro store will be offering some types of leaves for anyone to enjoy. Perhaps we can trade plants (such as hibiscus for oak, etc). Anyway, this whole leaf thing was brought up because today I realized that basil was on the safe list and my mom had just bought some. 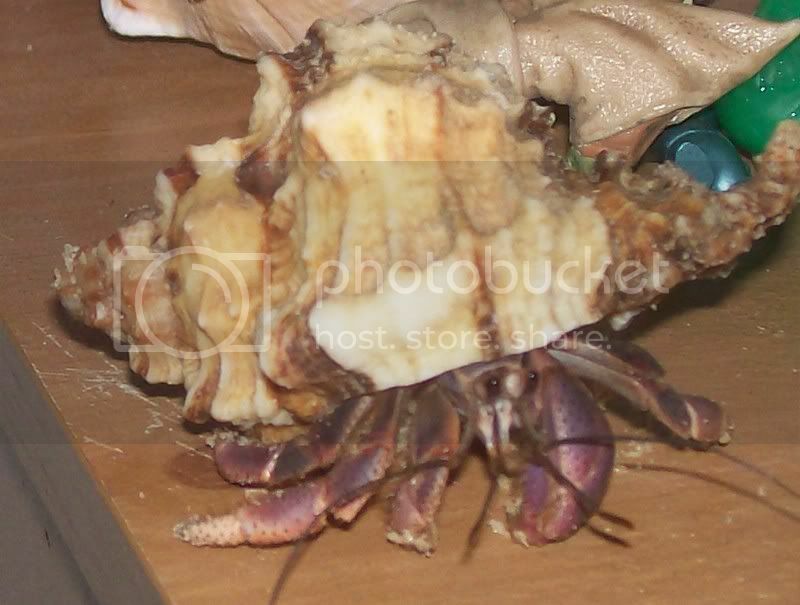 According to Jedediah from the HCA, hermit crabs can eat it, so my gang is going to try some fresh basil tonight. Basily delicious. And I have decided that I am going to get four more crabs. Two more Ecuadorians and two more purple pinchers. The Ecuadorians will get knocked out if I happen to find two small Straws. I really don't have the room for two Straws. It will be great to have seven crabs again instead of my trio. Perhaps I'll even get another Purple Pincher. Then again, if I crossed a Ruggie I would go crazy. Ah, I just love the pet store! It really is an addiction. 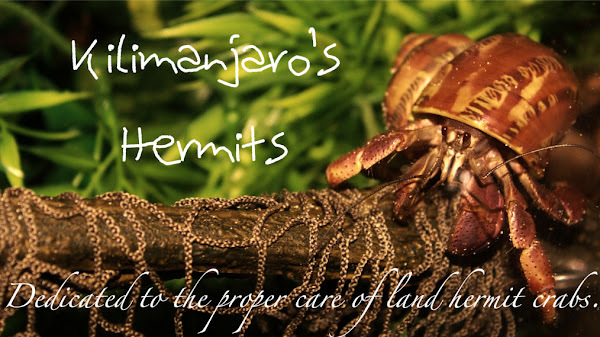 Say no to hermit crabs.